Brilliantly shining and having smooth finishing is the way one can describe the stainless steel wine cooler. 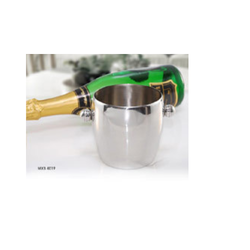 Stainless steel wine cooler has a polished and brushed finish thus adding a touch of elegance to it. treasure of fashion, beauty and pleasure! 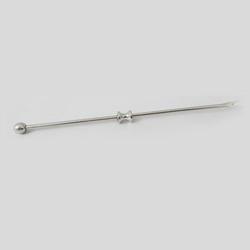 Stainless steel bar sets coordinate well with the decor of any sophisticated bar and make any drinking party unforgettable. Capacious enough to hold large number of champagne bottles, these stainless steel champagne holders in bright shine have circular rings attached on sides.